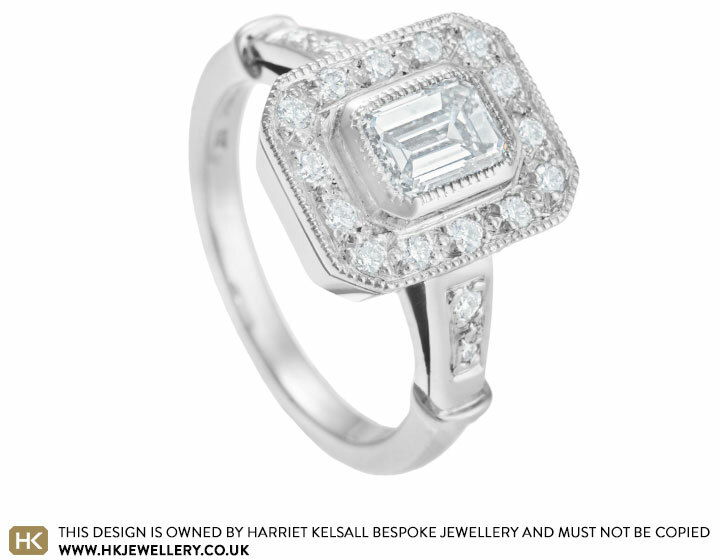 Ed inherited a 0.70 carat emerald cut diamond and wanted to incorporate the stone into an engagement ring for his partner Jacqueline. She loved vintage designs and Ed had kept a watchful eye on the types of rings she favoured. We spoke about creating a ring which would be as close as possible to a vintage design Jacqueline had seen previously, including the small diamonds neatly pave set around the central diamond to give a halo effect. Finer details such as the mill-grain edges and split shoulder completed the ring perfectly.